The 2008 presidential campaign at last is on borrowed time, with just six days remaining until voters write a happy ending for either Barack Obama or John McCain. Meanwhile, Obama is going where Ross Perot repeatedly went in 1992 by buying a half-hour of time on Wednesday, Oct. 29th. Only ABC is out of the money among the four major commercially sponsored broadcast networks. The Democratic nominee's pitch on his behalf, scheduled for 7 p.m. (central), will be on CBS, Fox and NBC. No, it will not delay Wednesday's scheduled resumption of Game 5 of the World Series, as many have reported. Fox will simply dump a pre-game show that has run from 7 to 7:30 p.m. throughout the Series. ABC, pushing ahead with its ratings-starved Pushing Daisies, initially wanted to air Obama's commercial on a different date before reconsidering and belatedly opening up the first hour of its Wednesday prime-time schedule. 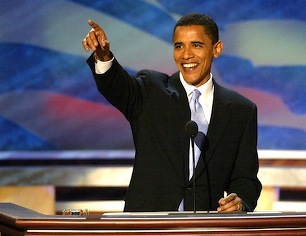 By then, though, the Obama campaign already had finalized its 30-minute buy, according to an Associated Press report. The price tag reportedly is $1 million per network. A typical 30-second Super Bowl spot costs roughly twice that much. 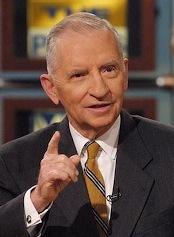 Perot's pie chart-themed half-hour infomercials ran numerous times in prime-time during his 1992 run for the presidency. Obama is unlikely to revisit those visuals. The Democrat's half-hour commercial also is airing on cable's Univision, BET, TV One and MSNBC, the only 24-hour news network carrying it. CNN declined to run the ad and Fox News Channel wasn't asked, according to The Hollywood Reporter, a respected trade newspaper. CBS has dropped its freshman series, The Ex List, after a month of dismal ratings on Fridays at 8 p.m. For the next two weeks, its replacement will be NCIS repeats. Fox's Do Not Disturb was the first new fall series canceled, followed by ABC's Opportunity Knocks. NBC's little-watched America's Toughest Jobs, which premiered in late summer, also is history after Saturday's finale.